While exploring for a free Australia Post Shipping Plugin for your WooCommerce store, you will always come across two plugins. The first one is Australia Post WooCommerce ‘Extension’ and the other is WooCommerce Australia Post Shipping ‘Plugin’. To help you find the best Australia Post plugin for your WooCommerce store, let’s compare these free plugins. You might have noticed there is a fundamental difference in the way these two options work. Australia Post WooCommerce Extension transforms the core WooCommerce shipping functions. 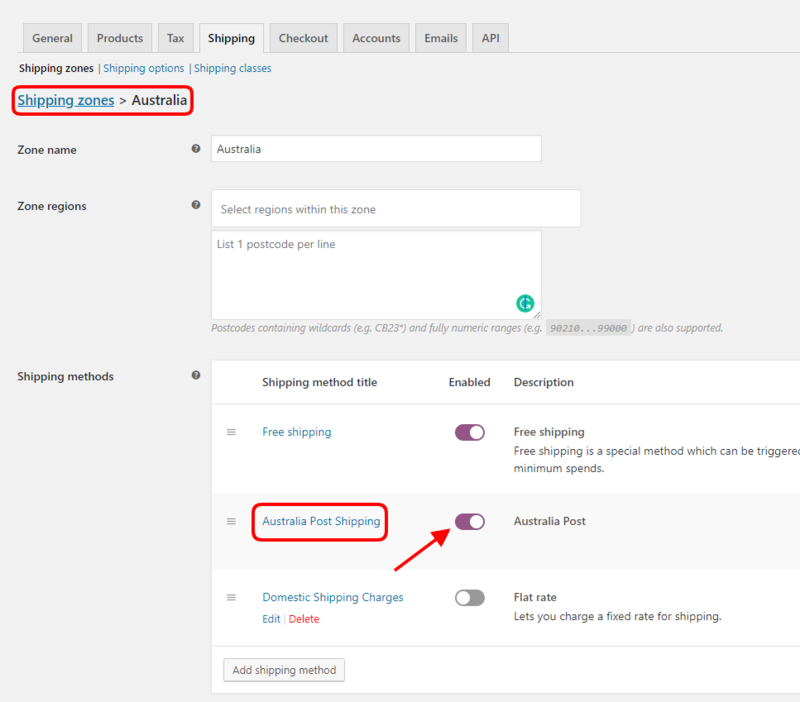 On the other hand, WooCommerce Australia Post Shipping plugin adds a new shipping feature without affecting the core functions of WooCommerce. Adding the feature by transforming the core functions means the plugin may need frequent updates along with WooCommerce updates. Whereas, adding it as an extra feature may not require updates as frequently. 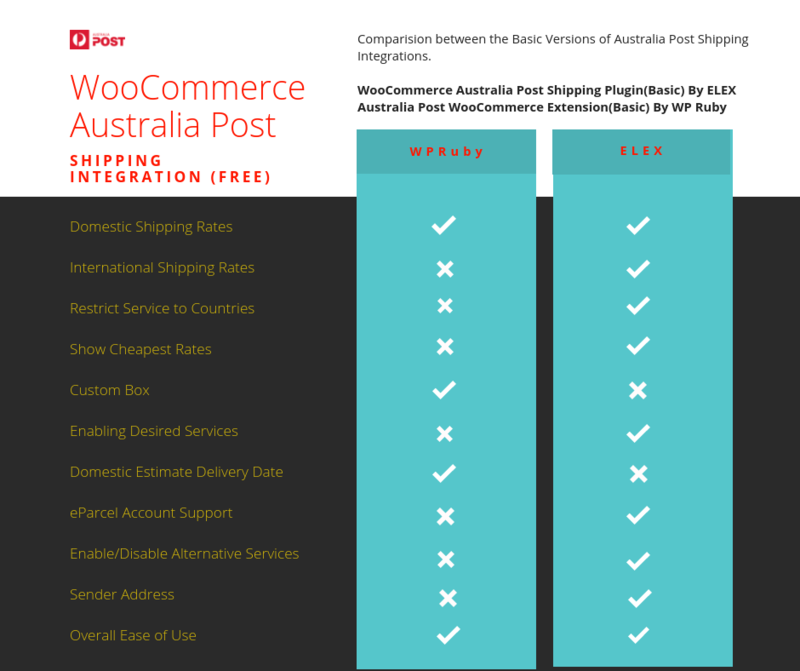 Moving ahead, these two WooCommerce Australia Post integrations are Australia Post WooCommerce Extension By WPRuby and WooCommerce Australia Post Shipping Plugin By ELEX (previously XAdapter). Installation is simple and similar for both plugins. 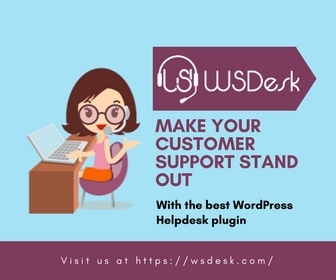 You can either choose to download the free versions and upload them manually to your WordPress console, or install them directly by clicking the Add New button in the plugin section of WordPress Dashboard. Once you install these plugins, click the Activate button to start. Note: Do not activate both the plugins at the same time. When you decide to switch, deactivate the one which was previously installed. This is valid for all plugins having similar functions. We have already mentioned that there is a fundamental difference between the two plugins. It will become more apparent when you start using them. 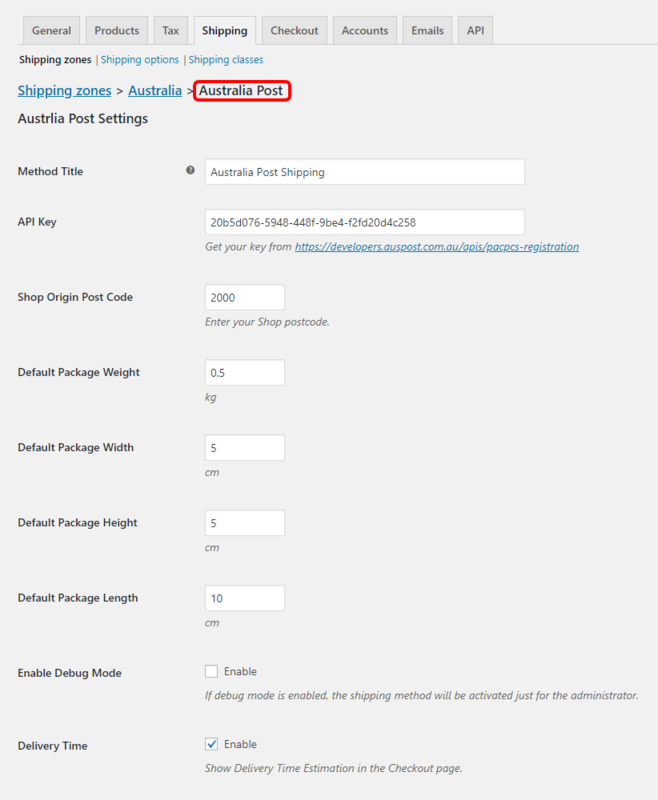 WooCommerce Australia Post Shipping Plugin by ELEX (previously XAdapter) adds a separate feature of Australia Post to the existing shipping options in WooCommerce, whereas Australia Post WooCommerce Extension by WPRuby gets deeper into the Shipping Zones and adds Australia Post as a Shipping Method. Let’s see how? With this type of integration, it becomes easier for users to locate and use the plugin. You just click on the tab to go to the settings page. 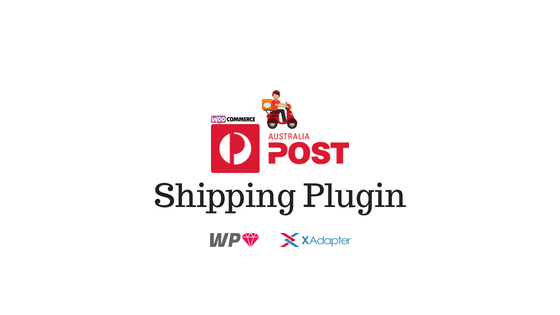 Once you install this plugin, you need to create a Shipping Zone and then you get to add Australia Post as a Shipping Method in that zone. You can create multiple zones and add Australia Post as a Shipping Method in each of them. Entire settings are zone specific. Also note, if you don’t create a shipping zone, the plugin does not work. When I started setting the plugin, it took me close to five minutes to figure out the settings for Australia Post. This is not a great thing when we speak in terms of ease of use. It might be convenient for users who are used to handling the core shipping options of WooCommerce though. 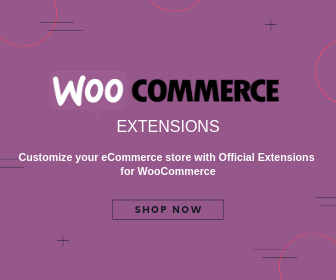 Also, since the plugin is using the core features, it becomes important for the developers to keep the extension tested ok up to the latest updates of WooCommerce. This will ensure that users don’t face compatibility issues, which are common in this type of integrations. Overall I would say that ELEX has an upper hand on this feature. Because the second type of setup process is not the most convenient one when using a basic plugin. You can compare these plugins as one adding an arm to a body and the other adding a finger to the palm. That’s the reason even the plugin from WPRuby redirects you to a new tab in its pro version. 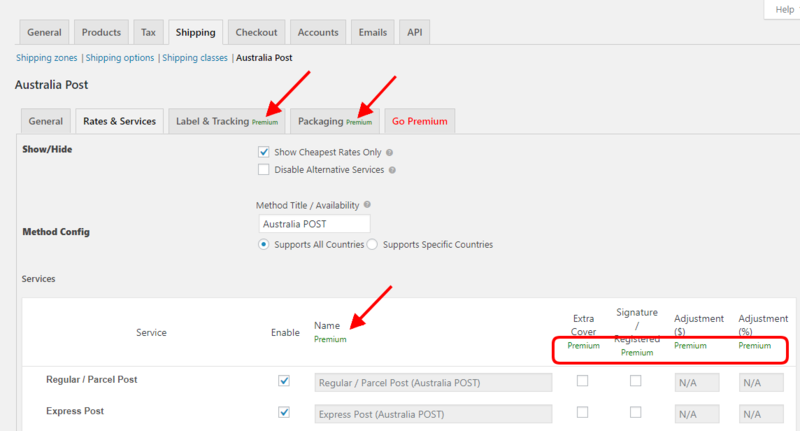 Or you can say that you get the Australia Post Pro (Legacy) feel of Australia Post WooCommerce Extension with this basic plugin. Let’s now discuss and compare the features that are available with these basic versions. We’ll have features like international shipping rates, services, and few other deciding factors to get a clear winner in terms of feature availability. It’s a feature of convenience. You might want to disable real-time rates on your site at times. Let’s see how both these plugins help you manage that. If you want to disable real-time rates, WooCoomerce Australia Post Shipping plugin has a one-click enable and disable option available with it. Here is the path that you follow to disable live shipping rates in both of the shipping plugins. With the Australia Post WooCommerce Extension by WPRuby, managing this seems a bit inconvenient. As each time you want to make a change in the settings, you need to navigate to zones, shipping method and then to Australia Post. If you are looking for convenience and fast setup, WooCoomerce Australia Post Shipping Plugin has a simple and effective approach to enable live shipping rates. Once enabled, it switches on both domestic and international shipping rates. On the other hand, if you create multiple shipping zones with Australia Post as a shipping method, it can take you a lot of time and inconvenience in the navigation part itself. You can get your eParcel, if you send more than 1,000 packages per year. This is one of the most efficient fulfillment services offered by Australia Post. You get a flexible pricing based on your shipping volume plus an effective delivery solution for your packages and all of it with their Express Post Services. If you have an Australia Post eParcel Account with discounted rates, you can integrate it to WooCommerce Australia Post Shipping Plugin. As you might know, contracted shipping rates are lesser than regular rates. Moreover, presenting a reduced shipping rate will help reduce cart abandonment. If you are a bulk shipper, get your Contracted Australia Post Account today. Australia Post WooCommerce Extension does not offer this feature. In fact, the extension offers live shipping rates for domestic shipping only. The absence of international shipping rates and the print label may be a reason this feature is not incorporated yet. If you have the eParcel account you can still use the basic version from ELEX and offer the discount shipping rates to your customers. Whereas Australia Post WooCommerce Extension will not facilitate this feature even if you upgrade to its premium version. This is one more point that goes in favor of the WooCommerce Australia Post Shipping Plugin. The shipper address is a vital detail when you are using a shipping plugin. 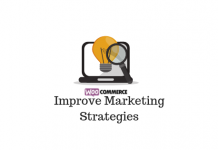 Shipper Address and WooCommerce Store Location can be different in many cases. This becomes relevant when your store location is significantly far than the sender address. For instance, suppose your WooCommerce store location is in Sydney and your warehouse is in Melbourne. By default, any shipping plugin calculates the shipping rates based WooCommerce store location. WooCommerce Australia Post Shipping has an option where you can enter the shipper address and contact detail. So with this plugin, you can put the address of your warehouse in Melbourne as the shipper address. This will save you from miscalculating shipping rates as your Sydney address act as the base location unless stated otherwise. In case of Australia Post WooCommerce Extension, you have only one option where you can enter the zip code that becomes the basis of calculation of shipping rates. Shipper address option is not available with this plugin even when you upgrade to its premium version. That might be a shortcoming for a lot of customers. Australia Post WooCommerce Extension misses one more important feature in this basic version. An editable shipper address sure can help you save a lot of funds. For any shipping plugin, the available shipping services are a big differentiating factor. Let’s see what these two plugins offer in this department. This plugin has both Domestic and International Shipping Options available in the basic version. Special services like all Australia Post satchels are available for the customers. You can choose to disable these special services too. This comes with the name ‘Alternative Service’. In case you are having a contracted account, these alternative services disappear automatically. The plugin also offers a feature where you can select the shipping service that you want to offer to your customers. If you check the box corresponding to the service, that will be available for the calculation of shipping rate. And if left unchecked, it will not be considered for calculating live rates. The plugin offers only domestic shipping rates with an option to add one custom box. International Shipping rates and domestic shipping services like Australia Post Satchel are not available in the plugin. Plus once you enable this extension, this returns all possible domestic shipping rates by Australia Post. If you don’t pay attention to the shipping zones and the zip codes, you might end up showing mixed shipping rates for different zones. This happens as the extension uses the shipping zones and shipping method features, which meant for setting free shipping, Flat rates, and Local pickups. However, you will find some extra features such as the addition of custom box and the expected time of delivery, with this plugin. Again, these are limited only to domestic shipping. The lack of features like international shipping services, a list of all services and enabling a particular shipping service in the Australia Post Shipping Extension limits its usability. With only domestic shipping rates, the plugin can be used for domestic shipping needs only. In other words, it falls short to the feature-rich WooCoomerce Australia Post Shipping Plugin, which has international shipping services listed as well. You can also choose which services will be available to your customers on the cart/checkout page. Now, after using the basic version for some time, you might want to switch to the premium version. Let’s see how easy the process is for both these plugins. You will see the basic version by ELEX is just a restricted version of its premium version. It means that some features are available only to premium users. The basic functionalities of the plugin remain the same for both basic and premium versions. So when you upgrade to pro, you will be quite familiar with the settings in the case of the ELEX plugin. On the other hand, WPRuby’s premium plugin takes you to a new platform, which has some fundamental differences from the basic version. This may not be very user-friendly for those who switch. You won’t find these features in Australia Post WooCommerce Extension. The premium version though has a few of the above features. You have already seen features like international shipping rates, pre-paid Australia Post satchels, and all different shipping services are available in the basic version by ELEX. On the other hand, these important features are not there in the plugin by WPRuby. In fact, the list above asserts that the basic version of Australia Post Shipping plugin by ELEX has more of the features in it. Now let’s talk about the features in the premium versions. Here WPRuby extension tries to match up with features in their premium version. Please find below the list of Features of the respective pro versions. One of the major setbacks of the premium version of the plugin by WPRuby is that you can’t print shipping labels. And without a ‘print label feature’, the plugin is no better than the basic version by ELEX. 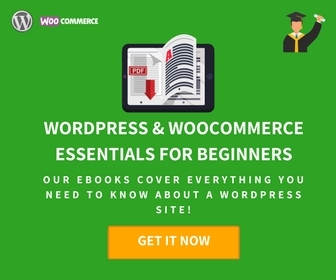 To conclude, I would say there is a lot more you can get with the basic WooCommerce Australia Post Shipping by ELEX than that of Australia Post WooCommece Extension by WPRuby. If you are looking for more convenience and more features, WooCommerce Australia Post Shipping plugin is for you. You can visit the ELEX and WPRuby for their premium versions. You can leave your valuable comments and experience with Australia Post plugins in the comments section too. How to Apply Free Shipping on Certain Products?